Blackwork or two-way outlining using a Running stitch. 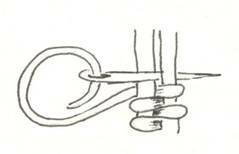 Buttonhole stitch / Blanket Stitch: Another of the basic stitches, and found all over the area. Cross-stitch: Used more for individual motifs and patterns than as a fill as now. Still is very popular stitch on the Saudi peninsula. Found both in Long Arm version and standard versions. 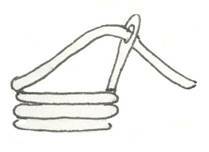 Herringbone Stitch: Variations of this stitch are found all over the area such as the Cretan stitch. Metal Work: Marco Polo praised Persian metal embroideries in 13th century. The earliest example of Persian embroidery, known to us at this time, is a coat embroidered in metal threads in satin stitch. Turkey has a multitude of examples of metal embroidery dating from pre-17th Century time period. Needle Weaving: This could tie for the oldest stitch with Pattern Darning, examples have been found in Egypt dating back to the Pharoses. Openwork (Drawn-thread and Pulled Work) Period examples found in Egypt dating to 12th and 13th centuries. 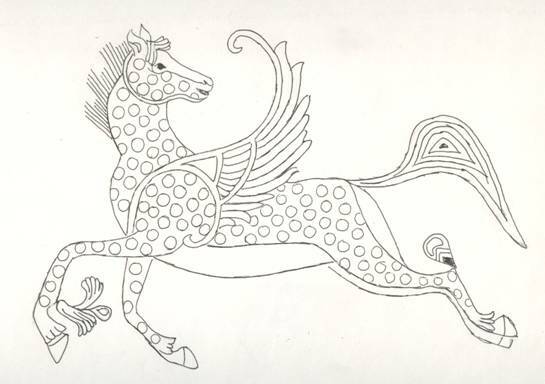 Still common in embroideries found in Iran, Turkey and areas of India. 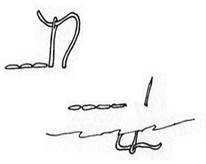 Outline stitch / Stem Stitch: Another one of the basic stitches. It is found in multiple cultures. Pattern Darning: This has to be the earliest stitch known to history. 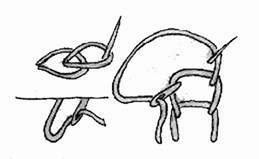 Satin stitch: Another of the Basic stitches. Used mainly as a filling stitch but also as an outline stitch. 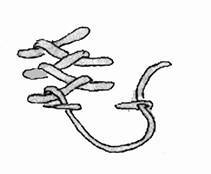 Split stitch: One of the basic stitches can be used as an outline stitch or as a fill stitch.